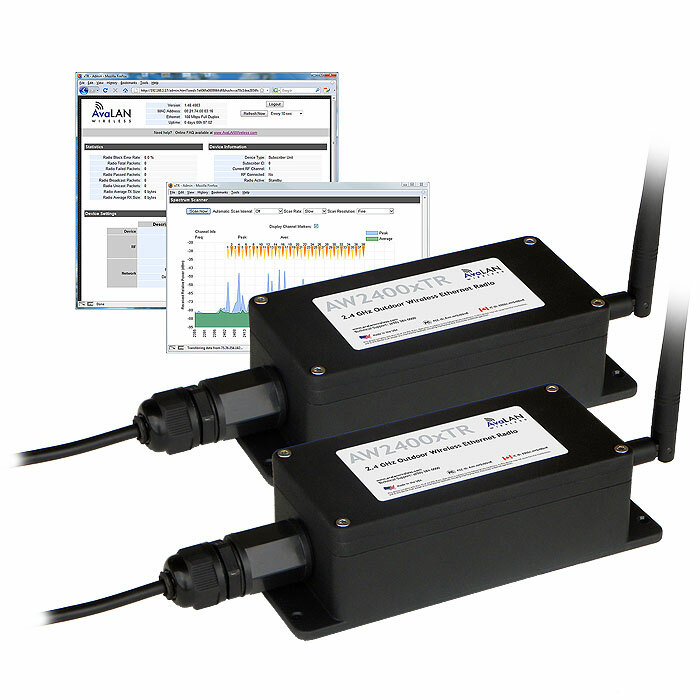 The AW900R2-PAIR allows you to connect RS-232 devices wirelessly in situations where direct wired connections are too costly or have insufficient range, security or noise immunity. It provides direct plug-and-play replacement of an RS-232 cable, but without most of the limitations. Most cables used for RS-232 are limited to about 50 feet, with expensive low capacitance cable extending the range to perhaps 1000 feet. This wireless link can travel up to 40 miles line-of-sight and with excellent ability to penetrate walls and vegetation. The radios automatically select the lowest interference RF channel, encrypt the data and seamlessly transmit it, looking just like a direct RS-232 cable to the rest of the system. Each radio in the pair is packaged in a rugged, weatherproof outdoor enclosure that is equally at home up in the factory ceiling or atop a power pole. They are pre-configured as a matched pair with common baud rate and encryption keys. The configuration may be easily changed by plugging a laptop into each radio’s built in USB interface, uploading new configurations into their non-volatile memory, and putting the link back into service. The same USB interface can also display diagnostic information and provide easy firmware updating. This technology is also available in an OEM module for integration into your own system. See the AvaLAN AW900R2-EVAL Evaluation Kit.